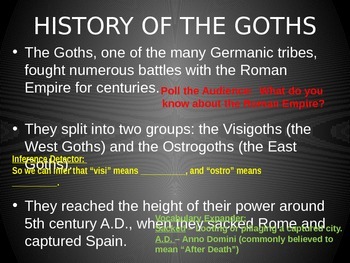 This introductory PowerPoint presentation introduces the Gothic literature genre while also silencing stereotypical assumptions about the word "gothic" and its meaning. 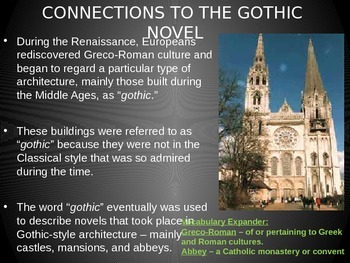 Presentation includes history of the Goths, relationship to Gothic architecture, appearance as a literary genre, Gothic elements, and MORE! 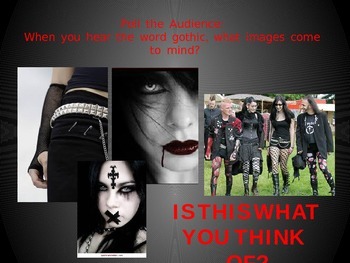 Presentation also has pop-ups to relate content to modern day. 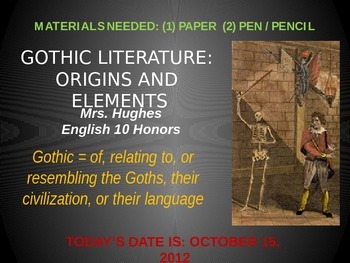 Use this presentation to help students understand the true meaning behind Gothic literature. It's a presentation that they will not easily forget.